The Native American Medicine Wheel is a symbol system that associates several fourfolds together, such as the Four Seasons, the Four Cardinal Directions, the Four Elements, etc. Another fourfold that does this is the Four Temperaments. There should be a good word for this amalgamation of fourfolds into one hyper- or mega- or uber- fourfold. What about quadriphilia? No, that’s just love of fours, but it is in the Urban Dictionary. Quadrasyncretism? I like the neologism tetrasyncretism, from tetra meaning four, and syncretism, meaning combining different (or many) beliefs into one. 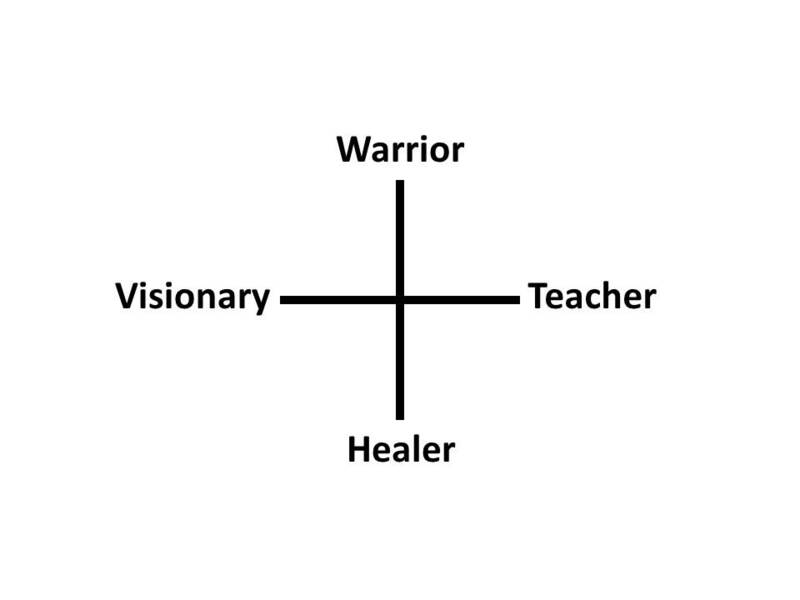 The aspect of the Medicine Wheel illustrated above is similar to the Four Temperaments. The colors Red, White, Black, and Yellow are important for the Medicine Wheel. The colors often occur in a certain order within quadrants of the circle of the wheel. 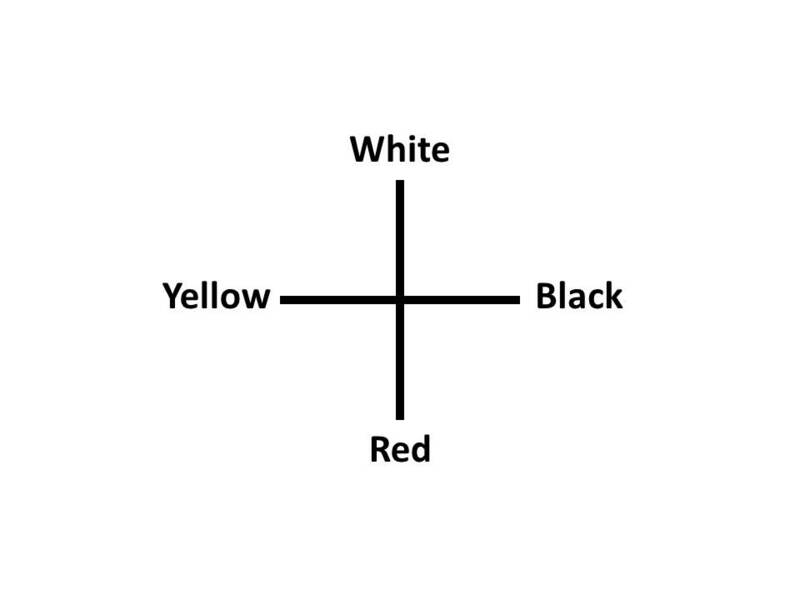 The colors also correspond to the Four Seasons: Black for Autumn, White for Winter, Yellow for Spring, and Red for Summer, although there can be other mappings. These same four colors are also important in alchemy and represent stages of the Magnus Opus or Great Work, where Red is Rubedo or Iosis, White is Albedo or Leukosis, Black is Nigredo or Melanosis, and Yellow is Citrinitas or Xanthosis. The order is usually Black, White, Yellow, and then Red, through beginning to ending stages of the work. In addition, the current anime RWBY has characters with these main costume colors. Apparently it is a story with some magic and much fighting with large weapons by four young women. Google search for images of the Medicine Wheel. Google search for images of the Four Cardinal Directions. This entry was posted on December 11, 2013 at 4:00 PM and is filed under alchemy, anime, fourfolds. You can follow any responses to this entry through the RSS 2.0 feed. You can leave a response, or trackback from your own site.